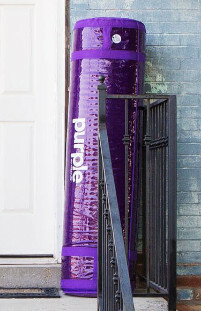 You have most likely heard about the Purple mattress due to the company’s aggressive marketing campaign. This strategy lead to the “aw egg challenge” becoming popular on social media. Now Purple is practically a household name. Perhaps there is a mattress company that can provide a better quality at the same or a lower price. The Leesa mattress has been around a bit longer than the Purple. Still, you may not have heard of it. Read through our mattress comparison review to see how the Purple vs Leesa duke it out for our praise of better mattress. You are likely very familiar with the Purple brand’s marketing strategy. The “egg challenge” went viral on social media, allowing this mattress to really generate a buzz. 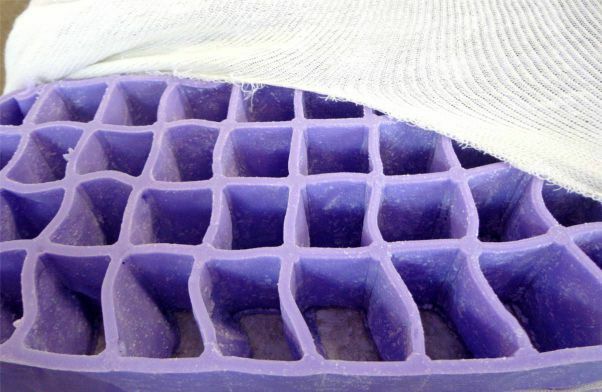 The polymer grid is said to be so high in pressure relief that you can’t crack an egg on it. It works to disperse your weight evenly across the surface. It also provides cooling benefits from the open areas in the grid. The universal comfort approach makes this mattress suitable for most sleepers. The price of this mattress is higher than many but still falls in an affordable range. This begs the question; can you find a better mattress for a lower price? Find the answer and more information when you continue reading this mattress comparison article. 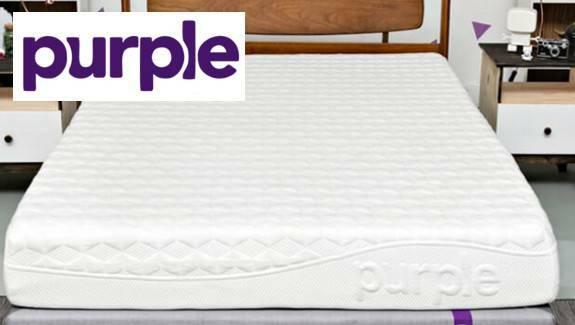 Check out our complete review of the Purple mattress HERE! The Leesa brand has been around long enough to garner rave reviews and a positive experience from most consumers. The materials selected for this design hit all the right notes in comfort and feel. The all-foam materials were chosen with cooling benefits and ideal feel in mind. You’ll get contouring, responsiveness, and support all rolled into one mattress design. This mattress stands at 10 inches high with convoluted foam, memory foam, and support foam all in one. You’ll have the perfect balance between firm and soft with comfort in every sleeping position. Made to order in the USA, it also uses only certified materials to give you a high-quality product. Does this design beat the hype of the Purple mattress? Find out in this mattress comparison review. Check out our complete review of the Leesa mattress HERE! Leesa Coupon: SAVE $150 & FREE Shipping! We are putting these mattresses head to head in our Purple vs Leesa mattress comparison. Looking at the similarities and differences and giving our honest feedback. Read on to find out how we felt about each of these brands as well as see which one will be a better fit for you. When ordering your new Purple mattress, your shipping is included at no additional cost. It will arrive at your doorstep compressed and roll-packed in the exclusive Purple bag. This mattress is very heavy, so be sure you have two people to move it. Once you have it in the desired location, you can remove it from the packaging. After that, simply unroll and unwrap your Purple. It will quickly take shape before your eyes but will need a good day or two to fully firm up. During this time, you will likely notice some smells called off-gassing. If you are sensitive to odors, you may want to avoid the area. Ensuring that there is proper ventilation in the room will speed up this process. This smell may even linger up to five days, so be prepared to let the mattress fully air out first. Ready to order you new Purple mattress? Shop and learn more at Purple.com. When you order a Leesa mattress, UPS will deliver it right to your door at no extra cost. The package will weigh around 75 pounds. You can select a white glove delivery service to have your mattress set up completely for you too. If doing it yourself, simply position, unroll and unwrap. Your Leesa will take shape before your eyes in just a few moments or less. But this mattress will also take a day or two to fully firm up. This mattress is made to order in the USA and will have minimal off gassing. Though, you still might notice some ew mattress smells as it breathes and firms up. If you are sensitive to smells, avoid the area during this time. Any odors you notice should be at a minimum since this mattress is made from certified materials. Just allow the mattress several hours to breathe as well as firm up before sleeping on it. Ready to order your new Leesa mattress? Shop and learn more at Leesa.com. The comfort of each of these mattresses will be mostly subjective to each sleeper. However, there are a few ways to look at comfort from a more objective standpoint to help you decide which bed may be best for you. 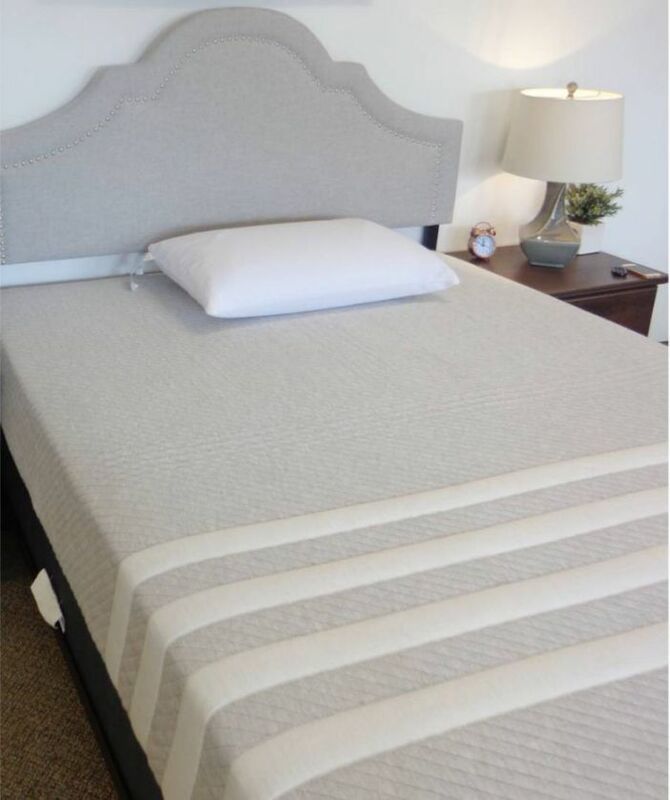 First off looking at how firm or soft a mattress is should give you an idea of whether or not the if it will accommodate your sleeping needs and styles. Also, focusing on the materials and how they respond or perform is a great way to get a better idea if the mattress will work for you. For example, a memory foam mattress will be very slow responding and cocoon to your body. While a latex mattress will more responsive and move with you and give a bit more push back. Purple has attacked the topic of comfort in many ways. You should find a restful night of sleep, no matter your preference in positions. However, the top layer of gridding has an interesting feel that may take time to adjust to. This company follows a universal “one size fits all” approach. This gives you a medium feel of a 5.5 to a 6. This rating is on a firmness scale where 1 is the softest and 10 is the firmest. Most sleepers should find this a good range, but it still has potential to exclude some. Back sleepers will find good lumbar support with contouring at the neck and shoulders. Side sleepers will feel adequate sinking at the hip and shoulder for pressure point relief. Stomach sleepers may need a firmer support to prevent back bowing. The same is true for heavier people who may feel a softer realization in the materials. 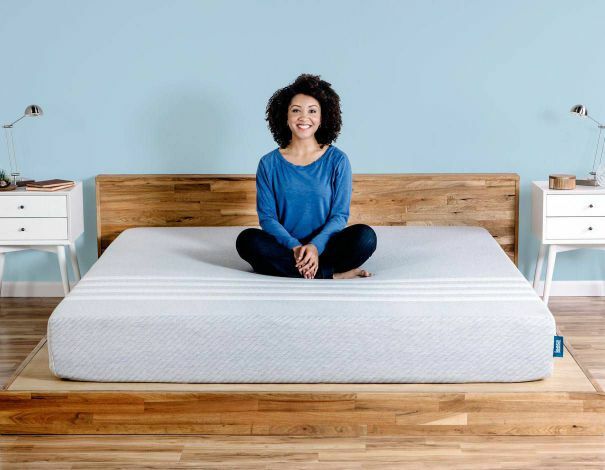 Because of the unique materials used, it is hard to compare comfort in this mattress to other brands. Getting used to the grid feel could be a turnoff to many. The Leesa hits all the marks when it comes to comfort. You get a responsiveness that is like latex in the top layer. This gives you the ability to change positions with ease. The memory foam segment gives you contouring benefits to relieve aches and pains. The foundational foam creates a support system for healthy spinal alignment. On the firmness scale, the Leesa rates around a 6. This is an ideal feel for most sleepers. Back sleepers will have ideal lumbar support with cradling at the neck and shoulders. Side sleepers will feel an adequate sinking at the hip and shoulder. Stomach sleepers should have the support necessary to prevent the back from bowing. A heavier person may enjoy the feel of the Leesa as well. Though, they may sense it as closer to a medium feel in firmness. As far as our personal opinion on the comfort of each of these mattresses we both felt more support sleeping on the Leesa mattress. It also had a very consistent, yet adaptable & pressure relieving feel that worked well for all sleeping positions. The Purple mattress does do a nice job of relieving pressure but felt a little lacking in support, especially if you are a stomach sleeper. The grid is unique and adds a quality unlike many beds we’ve tried, but it also was borderline distracting. This 9.5-inch thick mattress is made from three different layers of polymer and foam to create the distinct Purple feel. The top layer is made from the icon 2-inch thick hyper-elastic polymer grid. This material provides cooling properties as it evenly distributes you weight for optimal pressure relief. The next segment is a 3.5-inch thick transitional foam that increases the feeling of deep comfort. It provides a barrier between the softer top layer and supportive bottom layer, giving the mattress overall balance. The 4-inch thick foundational foam creates a solid base for the top materials to work from. The high-density nature of this component is intended to keep the Purple from bottoming out. A breathable polyester blend cover finishes off this mattress with Purple branding and a diamond pattern. It features a zipper to provide easy removal for cleaning purposes. Learn more and shop the Purple mattress NOW at Purple.com. This 10-inch thick mattress is also made from three different layers, only the Leesa is all-foam. The top layer is a 2-inch thick 3.65-pound density Cooling Avena Foam. It is convoluted to create hills and valleys that generate air flow that aids in cooling. This foam is also aerated to cut out the heat-retaining properties. This material has a latex feel with responsiveness and soft contouring. The next segment is a 2-inch thick 3-pound density Contouring Memory Foam. It evenly distributes your weight to create pressure relief. The cradling sensation provides a perfect amount of sinking. The bottom of the Leesa is a 6-inch thick 1.8-pound density Core Support Foam. This component gives you the strength needed for years of durability. Covering the Leesa is a soft breathable fabric designed with iconic gray with white stripes styling. 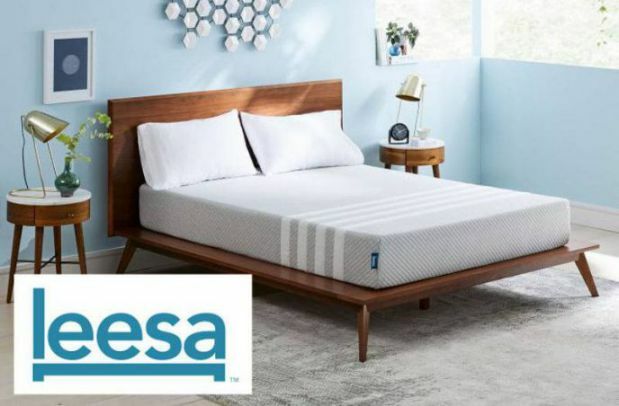 Shop and Save $150 on the Leesa mattress at Leesa.com. There should be minimal partner disturbances experienced with the Purple. This mattress isolates motion transfer with high-density materials. The high-quality polymer and foams quickly absorb any vibrations created by changing positions. The grid design was created to reduce pressure and by evenly distributing weight. This engineering resulted in a decrease of overall motion transfer. This is also true for getting in and out of bed. If you are a light sleeper, you will enjoy the Purple’s ability to stop the sensations from movement. We recommend this mattress for couples on different schedules or those who share their bed with furry family members. All-foam mattresses tend to have the best ability to stop motion transfer before it even gets started. This is true with the Leesa mattress. With just the right combination of foams, any vibrations made should be quickly absorbed. Whenever your partner moves, the waves of motion should be reduced dramatically. This makes it ideal for light sleepers or those sharing their bed with a partner on a different sleep schedule. 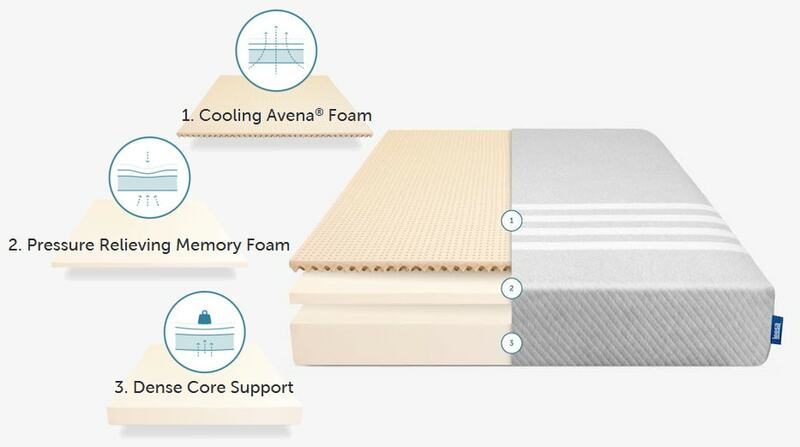 Even with the responsive layer of Avena foam on top, you won’t sacrifice uninterrupted sleep for ease of movement. Change positions as often as you need without the fear of waking your partner. As you already know, these are both all foam mattresses. Anytime you have all foam mattresses retaining heat may be more likely than on a mattress that utilizes a coil system. However, the Leesa pays close attention to this factor and incorporates materials from top to bottom that help reduce heat retention as much as they can. Purple also utilizes its materials, especially the top layer, to reduce heat retention and allow for a cooler sleeping experience. The Purple does a marvelous job at helping you to sleep cool, so you can wake feeling refreshed. The hyper-elastic polymer grid has large openings throughout the entire surface. These give warm air a place to quickly travel through to the next layer of foam. This encourages proper air circulation. The cover of this mattress increases this benefit with construction from a breathable cover. The styling of the fabric is also thinner which increases airflow. You should have close to a temperature neutral effect when sleeping on this mattress. If you are looking for great cooling benefits along with outstanding comfort, the Purple is a great choice. The Leesa mattress takes sleeping cool into thought for its well-planned design. It includes a few additions to keep you sleeping cooler. This is not the norm for all-foam materials, so this makes this style a great option. The top layer of foam is aerated to dissipate heat rapidly. This sheet of foam is also convoluted to create “hills and valleys” on the bottom side. This gives warm air a pathway to escape, creating increased levels of airflow. The placement of the memory foam layer keeps this material from making direct contact with your body. This gives you the benefits of contouring without the side effects of heat retention. You won’t sink in too far where warm air can remain trapped around you. The cover is also breathable and soft to the touch. Overall, you get a temperature neutral surface with the Leesa. It is important to consider edge support when selecting a new mattress. Sitting at the sides, especially for extended periods of time, is never recommended. Though, we urge you to consider the way a bed feels when sleeping right up to the edge. These factors should give you an idea of the true durability of the mattress as well as if the full bed can be utilized while sleeping. When sleeping on the Purple mattress, you will have mostly adequate support at the edges. The polymer grid works to evenly distribute your weight but towards the perimeter does collapse creating a slightly feeling of rolling out. The majority of the bed will be fine for sleeping, but does lack full use. Even more noticeable will be sitting at the sides of the Purple and the lack of support and durability. Creating very limited if any use at all for sitting on the edge. With no added support around the edges or consistency the Purple definitely acks in this category. This is an important factor to consider when you are mattress shopping that sometimes gets overlooked. The edge support, or lack in edge support, can sometimes indicate the true strength and value of the product. 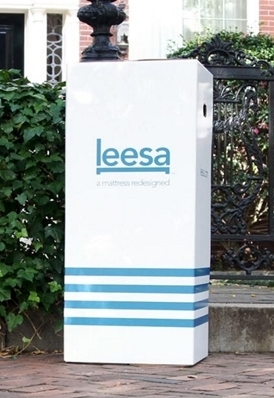 The Leesa mattress uses high-quality foams with high-density ratios. This makes for a very even sleeping surface that should feel consistent, no matter where you lie. You shouldn’t feel as you will roll out and fully utilized every inch of the mattress. You will, however, experience a lack of very firm support when sitting at the sides. Yet you are still able to use the bed for minimal sitting here and there unlike the Purple. Making the Leesa our definite choice for better edge support and more than likely overall support and long term durability. The focus on this section isn’t necessarily just price. When we discuss value we look at what you are getting for the price. Including all the perks, benefits and combining that with the performance of the mattress. This gives you a well rounded look at how your money will be spent and if it is worth it. Purple is a middle-range in pricing. You can purchase a queen size for $999. You may find a better mattress for the same or even less. Still, with Purple you’ll get free shipping in the exclusive Purple bag. You also get a 100-night sleep trial to make sure it is the best buy for your needs. You also get a 10-year warranty, which is standard for the bed-in-a-box industry. We feel that the Purple is priced competitively, but you might do better with another brand. You should select this mattress if you are interested in the hyper-elastic polymer grid’s capabilities. 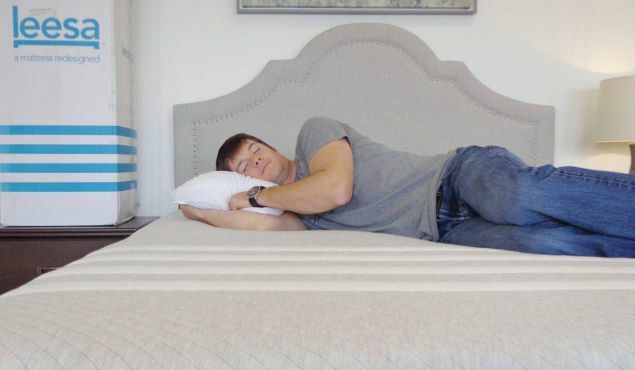 A new Leesa mattress can be purchased in a queen size for $940. Included is convenient shipping as well as a 100-night sleep trial period. You also get a 10-year warranty, which is standard with the bed-in-a-box industry. Some unexpected inclusions with your Leesa purchase are great customer service, a USA-made product, and a program for giving back. As well as a perfectly balanced all foam mattress with great motion isolation, a fully usable sleeping surface and a temperature neutral surface. That doesn’t even include the latest $150 coupon making this mattress ONLY $790!!! Buy yours now to take advantage of this great promotional price. When comparing the Leesa and Purple, there are many factors to consider. For starters, the price is right around the same figure for both choices. However, after coupon the Leesa is quite a bit less expensive. With the Leesa, you can also upgrade to a white glove delivery service too. The Leesa mattress also has minimal off-gassing and the comfort is more consistent and universal. Not to mention the better motion isolation, much better edge support and comparable for sleeping cooler too. Even though the comfort levels are roughly the same, the Purple is a bit lacking of support as well as less consistent. And the price is quite a bit higher. At the end of the day we enjoyed sleeping on the Leesa more than the Purple mattress. It has a much more consistent feel that really adapts to your body and sleeping positions. It also feels more supportive and sturdy. Both mattresses are true to their unique qualities and either way you’ll get great customer service. But, the Leesa checks quite a few more boxes in our opinion. If you like this Purple vs Leesa comparison make sure to check out more of our Mattress Comparisons! As well as our full list of mattress reviews to find the best mattress for you. Also, if you need help on your search make sure you read Our Mattress Guide to take out any confusion. For specific comparisons on any of our mattresses make sure you check out our Mattress Comparison Tool. This will give you a really quick side by side glance at up to four of any of our mattresses at once. This is a great way to help narrow down your top contenders and see the differences of each. For the full review of each of these mattresses check them out here: Leesa Mattress Review & Purple Mattress Review. Always remember Our Sleep Guide is here to help you find the perfect bed. If you have any questions in your search always feel free to contact us.